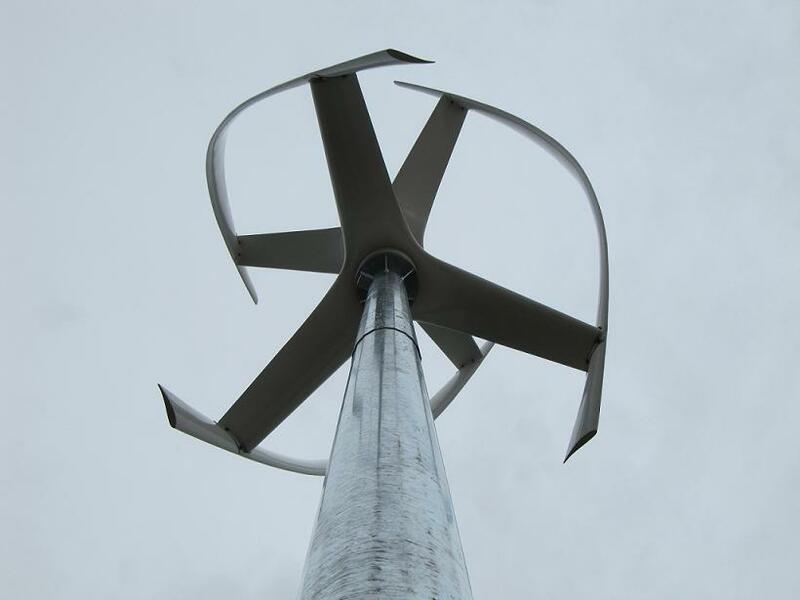 If your property includes a good wind resource, there is no better investment you can make today than a wind turbine. Our wind turbine solutions provide a x3-x7 return on investment over the product life cycle (20-30 years). Then at the end of that specific unit’s life cycle, your initial investment continues forward in the form of a reusable foundation, tower and grid connection for the next turbine. If you consider the capitalization recovery duration – 50-80 years for the foundation, tower and grid connection, the cost of our wind turbines on a property with a good wind resource is as low as $.03Kwh. Give us a call today to see how we can help your monthly budget to reduce or to totally eliminate your electric bill. Wind turbine installations in much of Nevada and the surrounding states have a challenge… wind gusts of over 100mph and frequent continuous wind speeds of over 50mph. ETC Green surveys have included the installation of over 150 weather stations and we have recorded such speeds at several potential wind sites. Very few wind turbine manufacturers engineer wind turbines to survive long term in such conditions. 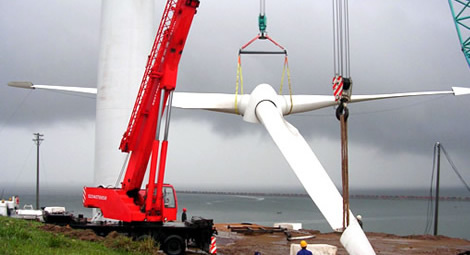 ETC Green is working with research and development organizations, turbine manufacturers and suppliers to provide our clients with the best match to their needs. 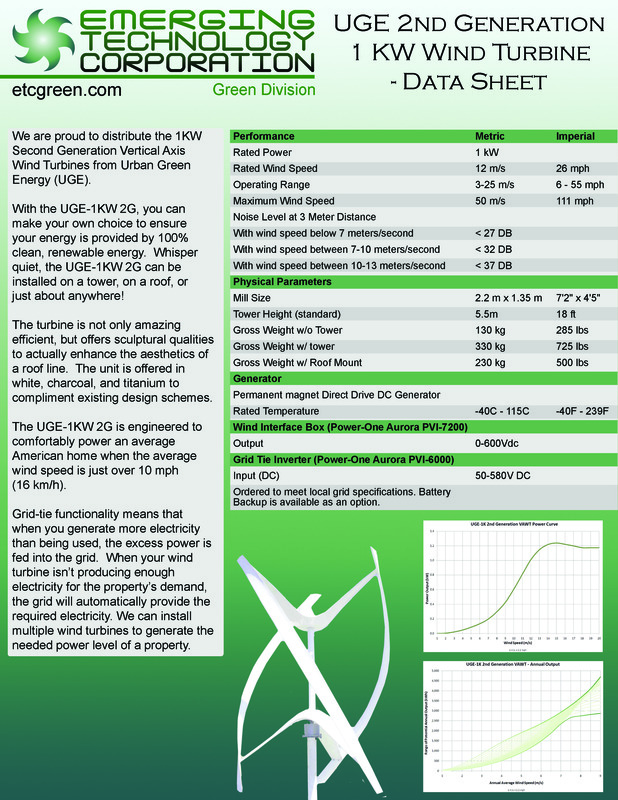 We are a licensed dealer for 7 turbines manufacturers from small 300W units to utility scale 2MW units capable of surviving 120mph wind gusts. Some of the following units will continue to produce energy in up to 65mph wind speeds. The ETC Green wind energy survey includes turbine placement and orientation as well as the best technology match to the site characteristics and funding opportunities. We conduct our wind survey over several weeks or months to get an accurate assessment of wind speeds (average and maximum) for the property. This testing determines if the property has wind energy potential and which type of wind turbine will be viable. 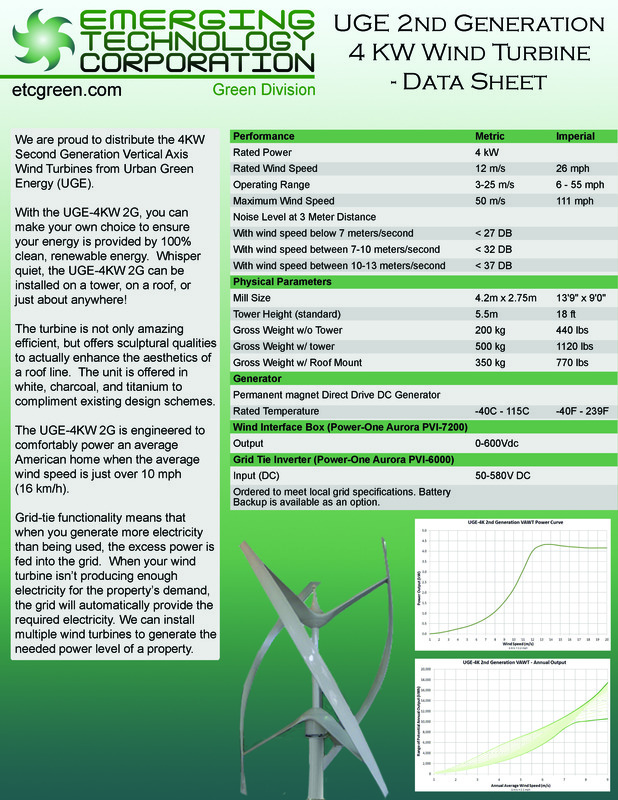 Please contact us for more information on our Wind Turbine Solutions.